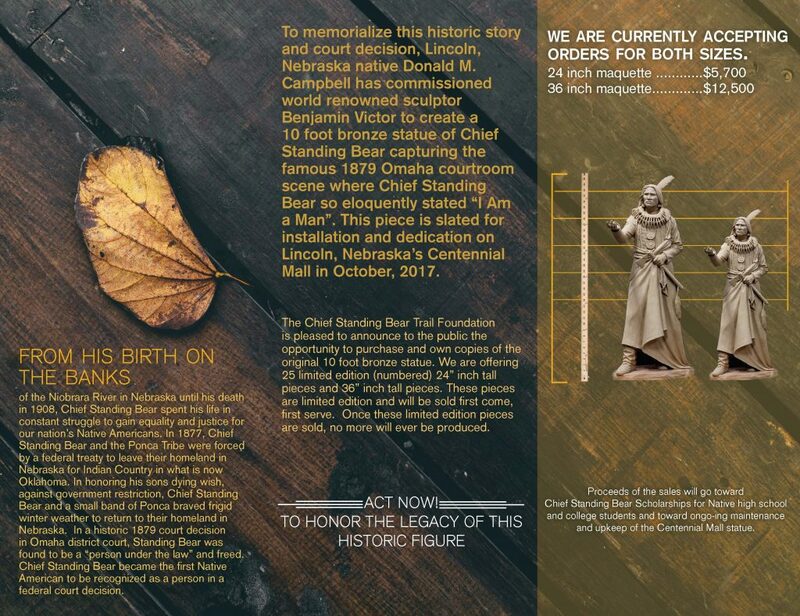 The Chief Standing Bear Trail Foundation is pleased to announce to the public the opportunity to purchase and own copies of the original 10 foot bronze statue. 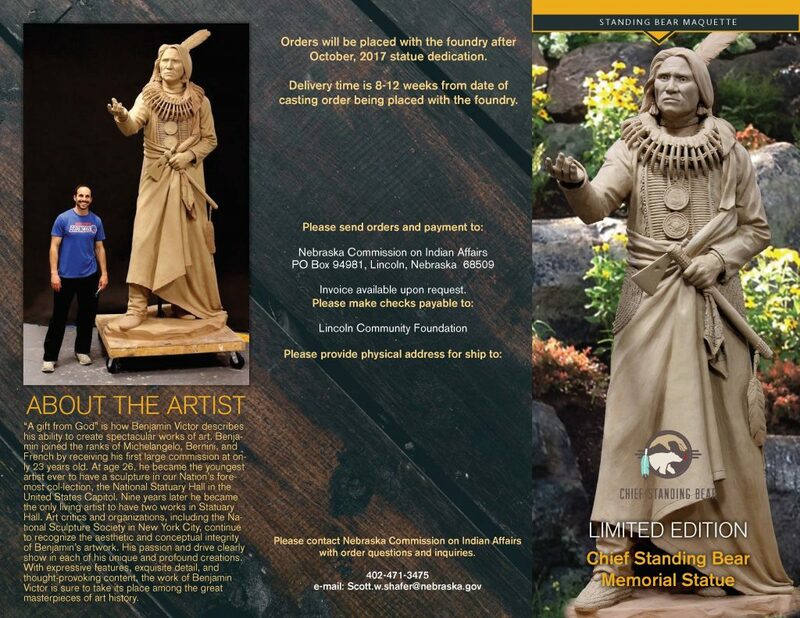 We are offering 25 limited edition (numbered) 24” inch tall pieces and 36” inch tall pieces. These pieces are limited edition and will be sold first come, first serve. 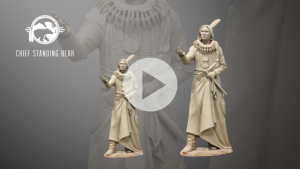 Once these limited edition pieces are sold, no more will ever be produced.